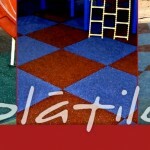 The Platile system utilises factory mass-produced tile components along with optional finishing edges and play equipment pole collars. 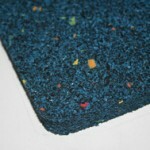 Installation is fast and simple with minimal skills and tools required. Blue, green, grey and red base colours are available, each with rainbow coloured EPDM speckles throughout. 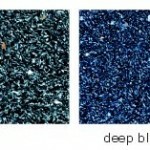 EPDM speckle colours and concentrations can be increased and customised for clients requiring a special effect. Compliance with Australian Standards is guaranteed. 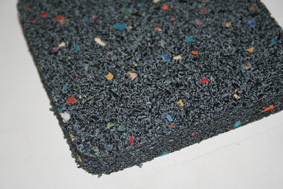 The most cost effective and easy to install rubber safety surface on the market. 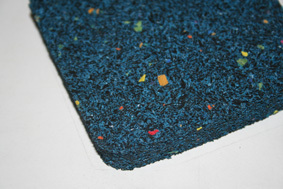 Each Plātile is manufactured from upcycled Australian car and truck tyres, coloured with natural oxides and speckled with rainbow EPDM granules. 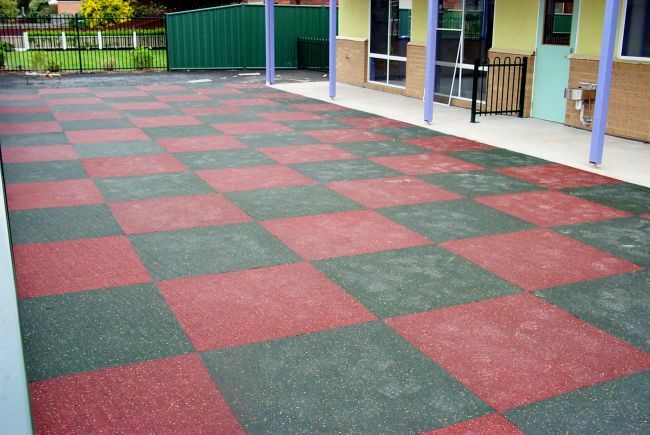 Plātiles have been installed everywhere from domestic applications to childcare centres, schools and parks across Australia. 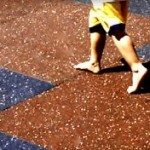 Plātiles are made from polymerically bound recycled rubber and EPDM flecks. 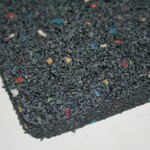 Damaged areas are easily fixed by simply replacing any sections. 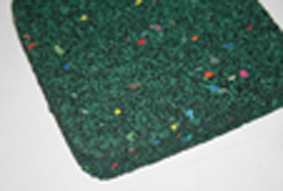 Ideal for hard to access locations where a pour-in-place solution is not possible. 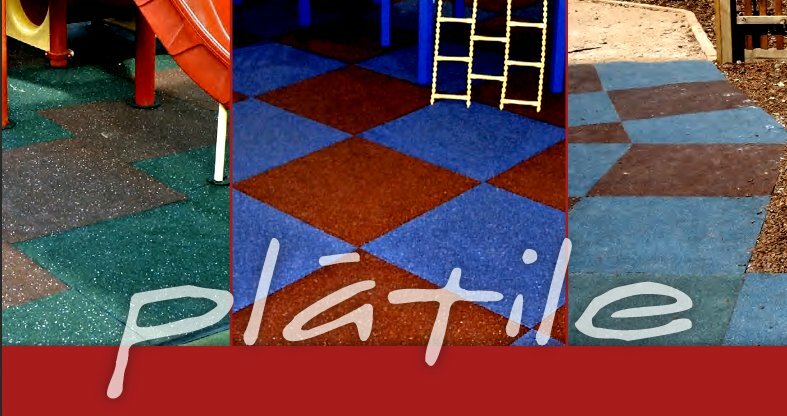 Plātile is a complete system, providing all necessary components to meet Australian safety requirements in any application. 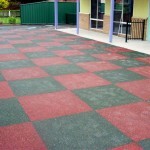 Suitable for all playground surfacing applications where compliance to Australian Standards is required. A preferred system for regional and/or hard to access applications only requiring DIY installation skills. 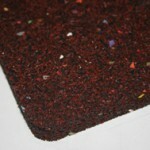 Tamperproof edges are 100mm high by 25mm wide by 2 metres long. They are adhered vertically and flush with the top edge of the perimeter of the surface. The bottom of the edge is buried and backfilled after completion. 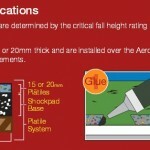 Use Plátiles in conjunction with Aero Shockpads to obtain the correct thickness for the required fall heights.